Some people were born to be parents. Others, not so much. I don't know what it is about having a tiny human that makes some people lose their marbles, but as shown in the photos below, it does happen. This is a roundup of various parenting fails I have found. 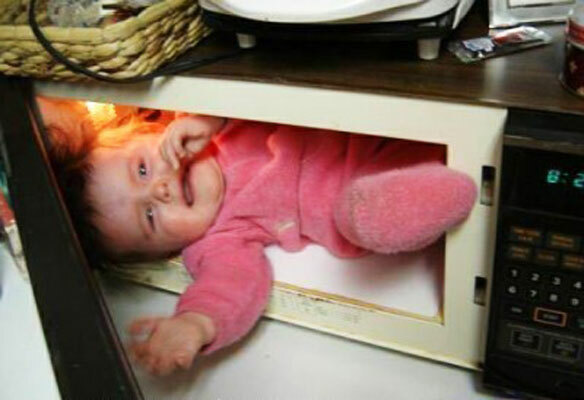 These brilliant minds aren't going to be winning any "Parent of the Year" awards anytime soon though, so please, do not try these scenarios at home! That was just your warning, you know, in case you were dying to give one a whirl. This must be the new age version of the automatic pet feeder. Inexpensive, turns a bright shade of red when held upside down and it even comes with side effects! 2. Look Mom, I'm Produce! Either this kid is pretending to be a piece of produce or their mom really doesn't like them. Seriously, do some parents just not know that plastic bags on heads are bad? 3. Did They Run Out of Mice? While looking at this photo you have to wonder. Did they run out of mice to feed the snake? Raise your hand if you think it is a good idea to place anything with the word "constrictor" in its name on your newborn. No one? Yeah, I didn't think so. 4. Just Give Her a Blanket! Sheesh! Come on now people, if your baby is cold just give her a blanket. No need to go using up valuable electricity in the process. What is wrong with these people? Okay, not to this parents credit, my kids have grabbed things off the ground before. I can remember one half drank bottle of Gatorade in the Target parking lot in particular. However, you don't actually let your kid eat or drink these things! Just direct them to the nearest trash can. Hey, maybe she is just giving her on the job training. If you want to play dress up with your kid, try a Disney Princess dress. I am sure every little child is born with the dream of one day sitting beside something that could swallow it in one gulp for a photo opp. Doesn't he look happy? I know that some brands of strollers can be pretty costly, but an umbrella stroller will only set you back $10 or so lady. Unless this is a new form of baby yoga, she needs to invest in a new carrier. 9. They Do Know Babies Can Come Out of Strollers, Right? 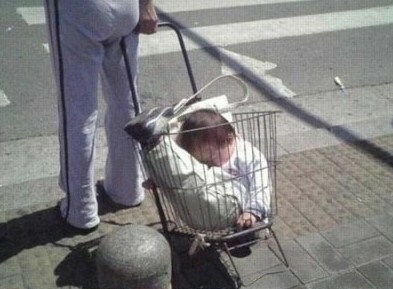 Maybe no one ever explained to these parents that babies can indeed come out of strollers. This takes laziness to a whole new level. 10. No Change? No Problem. 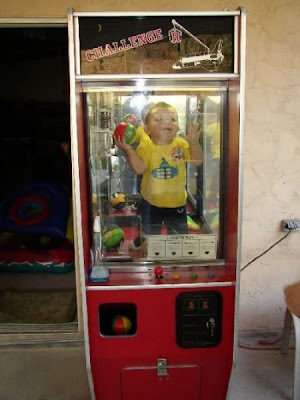 If you don't have change for the machine and your kid really wants a ball, just let them climb through that little door. That is why it is there after all. Isn't it? 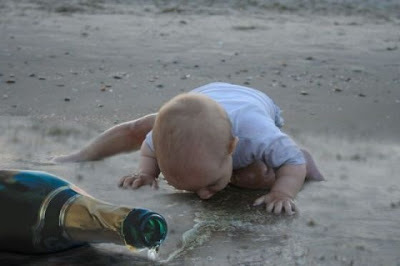 I really had no idea there were so many bad parents in the world! I just don't even know where to begin with commenting on this post. Wow. 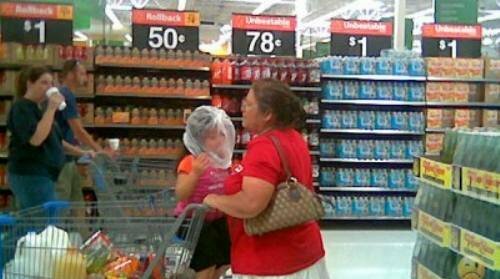 Although the kid with the bag on their head in Walmart isn't surprising. What is it about Walmart that brings out the "best" in people? 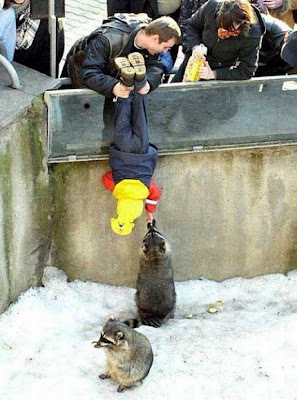 OMG, it's so funny, but wrong!! Wrong, wrong, wrong!! LOL! This was a great post, girl! Ok, this is the first time I've seen the stroller lifting one...the others I think I've seen. That is just the funniest thing EVER! I would think it would be harder to pick up the entire stroller? And it's not even one family doing it...but two?? Where was that?? LOLOL Weirdos. Rhea, I know right? It would have been so much easier just to life the dang kids out of the strollers. 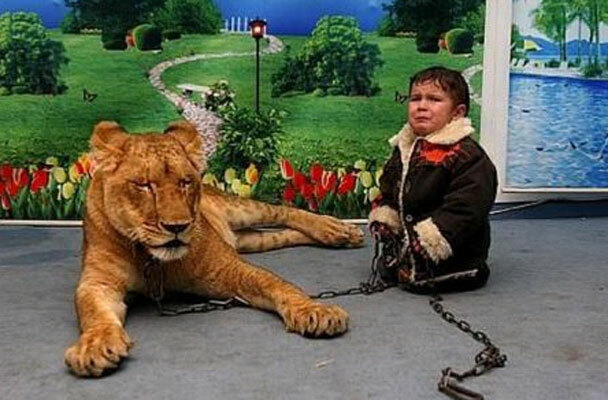 They were at a zoo. Oh geez. That microwave one is terrible! 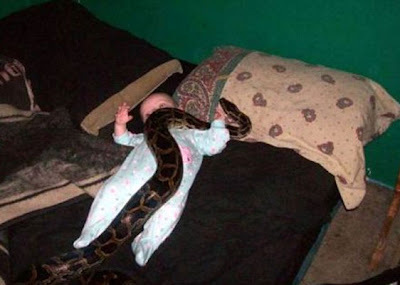 And no there are no constrictors near my newborn! I have seen these photos before and am still shocked by them! It's a shame that anyone can be a parent, huh? Oh my gosh! Those kids should be taken away from those parents!! I can not believe these photos. I pray that some are photo shopped.